GM Files for Bankruptcy, U.S. Government to Take 60% Stake in "New GM"
The once unthinkable has finally happened; General Motors, the world largest automaker for close to eight decades until it was surpassed by Toyota last year, filed for bankruptcy protection in early Monday. GM’s Chapter 11 filing is the third largest bankruptcy in U.S. history after the collapse of Lehman Brothers and WorldCom Inc.. According to reports, the company has $82.29 billion in assets and $172.81 billion in debt. During its reorganization phase that is expected to take 60 to 90 days, it is reported that the U.S. government, which will end up owning 60% of the new entity, will pour another $33 billion in financial assistance on top of the $20 billion it has already given the automaker in the form of government loans. Read GM’s official release after the jump. DETROIT, June 1, 2009 – General Motors Corp. (NYSE: GM) today announced that it has reached agreements with the U.S. Treasury and the governments of Canada and Ontario to accelerate its reinvention and create a leaner, stronger “New GM” positioned for a profitable, self-sustaining and competitive future. 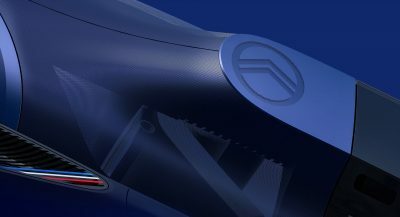 Pending approvals, the New GM is expected to launch in about 60 to 90 days as a separate and independent company from the current GM (“GM”), with two distinct advantages: it will be built from only GM’s best brands and operations, and it will be supported by a stronger balance sheet due to a significantly lower debt burden and operating cost structure than before. The New GM will incorporate the terms of GM’s recent agreements with the United Auto Workers (UAW) and Canadian Auto Workers (CAW) unions and will be led by GM’s current management team. The New GM will execute the key elements of its April 27 viability plan, along with additional initiatives, to achieve winning financial results by putting customers first, concentrating on adding to the company’s line of award-winning cars and trucks through four core brands and continuing to invest in green, energy-saving technologies. 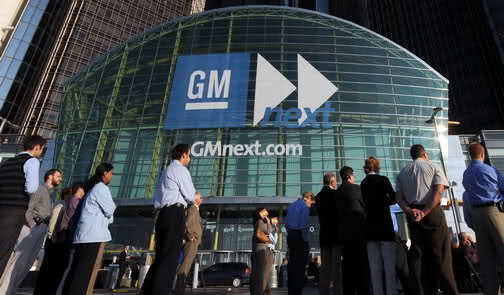 Under its plan, GM will sell substantially all of its global assets to the New GM. To implement the sale agreement, GM and three domestic subsidiaries have filed voluntary petitions for relief under chapter 11 of the United States Bankruptcy Code in the U.S. Bankruptcy Court for the Southern District of New York, and the sale is subject to the approval of the Court. Because GM’s sale of assets to the New GM already has the support of the U.S. Treasury, the UAW and a substantial portion of GM’s unsecured bondholders, GM expects the sale to be approved and consummated expeditiously. GM dealers will continue to service GM vehicles and honor GM warranties, and U.S. and Canadian government guarantees of manufacturers’ warranties are designed to reassure consumers. “Today marks a defining moment in the reinvention of GM as a leaner, more customer-focused, and more cost-competitive company that, above all, can quickly generate winning bottom line results,” said Fritz Henderson, GM president and CEO. “The economic crisis has caused enormous disruption in the auto industry, but with it has come the opportunity for us to reinvent our business. We are going to do it once and do it right. The court-supervised process we are pursuing provides us with powerful tools to accelerate and complete our reinvention, as well as strong safeguards for our customers and our business. We are focused on the job at hand, for the benefit of our customers, employees, dealers, suppliers, retirees, taxpayers, investors and other stakeholders. “We recognize the sacrifices that so many have been asked to make as we have worked to reinvent GM and the automobile,” said Henderson. “GM deeply appreciates the support and the demonstration of confidence in our future by President Obama, the Presidential Task Force on Autos, the Canadian and Ontario governments, American and Canadian taxpayers, the unsecured bondholders who are supporting the proposed sale transaction, the UAW and CAW and their leadership, and the men and women of GM, including our retirees. You have enabled us to carry out this vital transformation for the good of GM, our customers and the economy, and we are working to validate your trust each day. “From day one, the New GM will be well-positioned to capitalize on the award-winning vehicles we have developed and launched during the past few years, and on our investments in exciting new technologies like the Chevy Volt, so that we can build and return value to our customers and to the millions who will have a stake in our success. 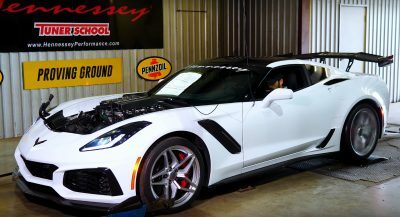 The New GM will play a critical role in the future of the automobile, and assure that the U.S. has a strong stake in this rapidly changing global manufacturing industry,” Henderson said. GM’s North American manufacturing operations continues to monitor production output to make sure it aligns with market demand, and currently intends to ramp up manufacturing operations as market demand improves during the latter half of the year. None of GM’s operations outside of the U.S. are included in the U.S. court filings or court-supervised process, and these filings have no direct legal impact on GM’s plans and operations outside the U.S. GM confirmed that all business operations are continuing without interruption in its Europe; Latin America, Africa and the Middle East; and Asia Pacific regions. Continue pay and benefits for employees and retirees; however, the amount of non-qualified pension for some executive retirees may be affected. GM’s agreements with the U.S. Treasury, the Canadian and Ontario governments and the UAW and CAW, in addition to the support of a substantial portion of GM’s unsecured bondholders, will enable the New GM to be a leaner, faster and more customer-focused enterprise, consistent with the vision, goals and plans of GM’s enhanced operating plan announced April 27. A critical element of GM’s reinvention is to achieve a significantly stronger and healthier balance sheet. On March 31, 2009, GM reported consolidated debt of $54.4 billion, along with additional liabilities, including an estimated $20 billion obligation to the UAW VEBA. GM announced separately today, GM Europe has an agreement for €1.5 billion of bridge financing from the German government and a Memorandum of Understanding to partner with Magna International Inc. 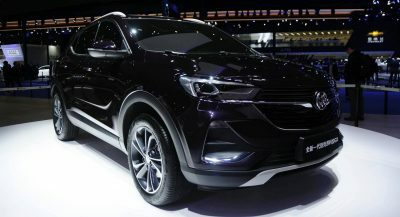 Under the agreement, the Opel/Vauxhall assets have been pooled under Adam Opel GmbH, with the majority of the shares of Adam Opel GmbH being put into an independent trust (the balance to remain with General Motors), while final negotiations with Magna proceed. Negotiations to close the agreement should take several weeks. GM’s primary bankruptcy counsel is Weil, Gotshal & Manges LLP. GM is also represented by Jenner & Block LLP and Honigman Miller Schwartz and Cohn LLP as counsels. Cravath, Swaine, & Moore LLP is providing legal advice to the GM Board of Directors. GM’s restructuring advisor is AP Services LLP and its financial advisors are Morgan Stanley, Evercore Partners and the Blackstone Group LLP.